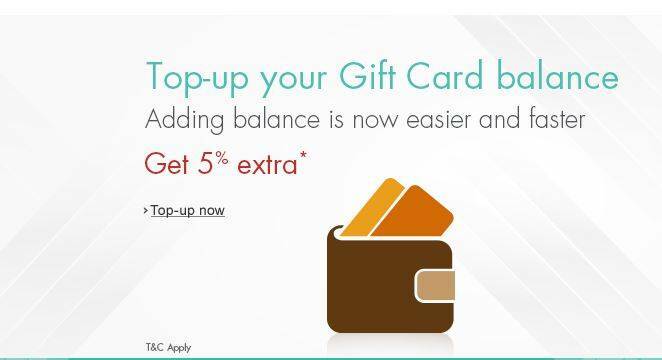 On Top-up of Amazon.in Gift Card Balance, get 5% extra value in the form of Amazon.in Gift Cards. 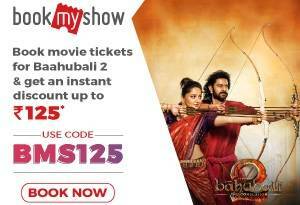 This offer is valid on Top-up of Amazon.in Gift Cards from 20th July to 24th July, 2015 made onwww.ama…in only. This offer will entitle the purchaser to receive a Promotional Gift Card amounting to a maximum of INR 250. This offer is valid on only Top-up your Gift Card Balance and NOT on purchase of any Amazon.in Gift Cards. The credits will be passed within 30 days from the end of the Offer which is 24th August 2015. On Top-up of Amazon.in Gift Card Balance, get 5% extra value in the form of Amazon.in Gift Cards. This offer will entitle the purchaser to receive a Promotional Gift Card amounting to a maximum of INR 250. The credits will be passed within 30 days from the end of the Offer which is 24th August 2015. 2. Is this applicable only for Top-up your Gift Card Balance? Yes, this is applicable only on Amazon.in Gift Card Top-ups. It is not applicable on purchase of any Amazon.in Gift Cards. 3. What is the maximum amount of Promotional Gift Card which I am entitled? The purchaser (either through a single or cumulative Top-up) of Amazon.in Gift Card is entitled to a maximum promotional gift card of worth INR 250. For example if you Top-up your Amazon.in Gift Card Balance for Rs.10,000 (either through a single or cumulative), then you are entitled to a Promotional Gift Card of maximum of INR 250 only and DO NOT get Rs.500 (5% of Rs.10,000). You can avail the Promotional Gift Card under this Offer only once during the Offer Period. 4. When will the Promotional Gift Card issued to me? The Promotional Gift Card will be issued within 30 days from the end of the Offer which is 24th August 2015. 5. Can I use the Promotional Gift Card to make purchases on Amazon.in? Yes, you can use the Promotional Gift Card to make purchases on Amazon.in only. 1. Amazon.in Gift Cards (“Gift Cards”) are issued by QwikCilver Solutions Private Limited (“QwikCilver”), a private limited company incorporated under the laws of India. 2. 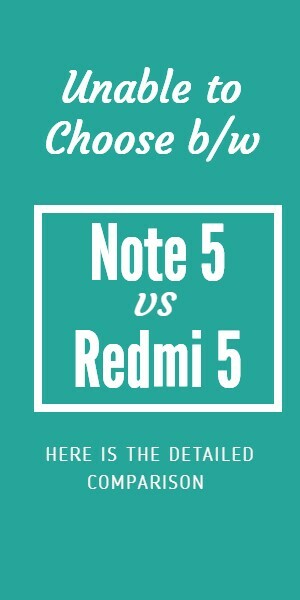 This promotional offer (“Offer”) is valid only on Top-up your Amazon.in Gift Card Balance (either through a single or cumulative) made on www.ama…in during the Offer Period and will entitle the purchaser to receive one promotional Gift Card amounting to a maximum of INR 250 (“Promotional Gift Card”). 3. These Offer terms and conditions (“Offer Terms”) are in addition to the Amazon.in Conditions of Use to which you agree by using the Amazon.in website and the terms and conditions applicable for the Amazon.in Gift Card (“Gift Card Terms”) issued by Qwikcilver. To the extent the Amazon.in Conditions of Use & Sale are inconsistent with these Offer Terms, these Offer Terms will prevail with respect to the Offer only. To the extent the Gift Card Terms are inconsistent with these Offer Terms; these Offer Terms shall prevail with respect to the Offer only. 4. The Offer is only valid only from 20th July to 24th July, 2015 (hereinafter referred to as “Offer Period”). 5. You can avail the Promotional Gift Card under this Offer only to a maximum amount of INR 250. If you Top-up your Gift Card Balance for more than INR 5000 (either through a single or cumulative purchase), you will not be entitled to any additional Promotional Gift Card over INR 250 for the said purchase. 6. The Gift Cards cannot be canceled. However if you request for a cancellation as an exception then the Offer will not be valid. 7. Any disputes arising out of and in connection with this program shall be subject to the exclusive jurisdiction of the courts of Bangalore only. 8. Promotional Gift Card will be issued by Qwikcilver within 30 days from the offer closure date i.e. 24th August 2015. 9. Promotional Gift Cards expire one year from the date of issuance. Promotional Gift Cards cannot be used to purchase other gift cards. Promotional Gift Cards cannot be reloaded, resold, transferred for value or redeemed for cash, except to the extent required by law. 10. Amazon and/or QwikCilver reserve the absolute right to withdraw and/or alter any of the terms and conditions of the Offer at any time without prior notice. Next ArticleGet 6000 INR free On Airbnb For new users. And use it for Trips !